If you want to earn money from your site/blog, Google Adsense is the most popular service to monetize your blog or website content. When implemented, Adsense will display targeted Google ads on your blog and they can generate revenue on either a per-click or per-impression basis. Of course, to display ads on your site, you should first Sign Up to Google Adsense program. Before adding your ads, keep in mind that Adsense allows only up to 3 ad units, 3 link units and 2 search boxes per page. In this tutorial i will show you the three ways you can add Adsense ads to your blog. 3. Configure ad format and colors. 4. Click Save and you're done. 1. Go to Design > Page Elements and click the Edit link in Blog Posts gadget box. 2. Check the "Show Ads Between Posts" box. 3. Configure ad frequency, ad format, and colors. Live preview is provided beneath the settings. 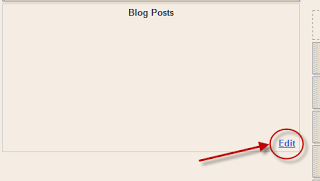 You can add the code anywhere in your blog template - in your post content or page. To find out which format perform the best, custom channels will help you to track the performance of specific groups of ad units. You can choose types other than ad unit i.e. link unit, search box. 1. Go to Google Adsense website. 2. Click on My ads tab, go to Ad units and then press on the "New ad unit" button. 3. Choose your ad type, choose format and colors and assign channels. 4. When you have finished editing, click on the Save and get code >> button and copy the code provided.